When we were still running 2Web Technologies, and showing potential customers how our product, XL2Web, could convert spreadsheets into Web Apps, I spent much of my free time creating fun and useful (and some not-so-useful) spreadsheets which worked really well as web apps. Spreadsheets for me actually became a development platform for creating web apps. I created a whole site of sample apps generated from spreadsheets (sadly, that site is no longer live) and I would use it to show off our little start-up's product to potential customers and anyone else who would listen. Over the past few years, I have intermittently taken one or more of those old spreadsheets and converted them into "our" product - Google Sheets... but I haven't had much of a catalyst to do that recently. Today, for some reason, I decided to convert a semi-useful one I re-discovered. 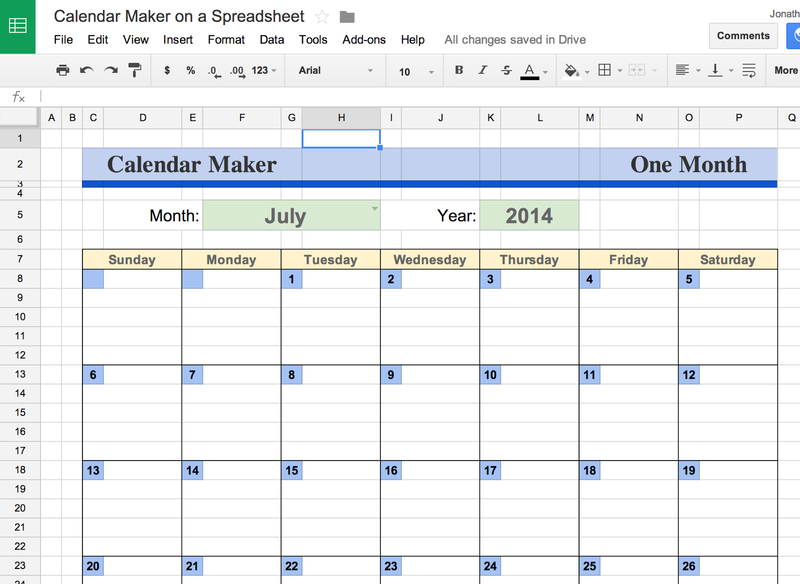 The Calendar Maker Spreadsheet is super simple in what it achieves, and slightly less simple in how it does it. It's practically proof that I had a #spreadsheetaddiction when I created this, since there must be much easier ways to create calendars (...there are, right?) than to create spreadsheet formulas and format them to look semi-pretty. With an increased personal focus on Apps for Education, I've found - practically daily - a bunch of inspiring uses of our broader products - Docs, Sheets, Slides, Drawings and more - in the educational context... sometimes directly in teaching students, and sometimes just helping teachers do things better, faster and smarter. I've also been re-inspired by incredibly smart educators who find ways to use technology to improve their teaching, to inspire other educators and to make learning more engaging for kids and adults. 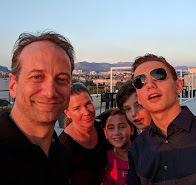 The work of one such educator indirectly inspired me to post to my blog again: @alicekeeler - who writes a prolific blog called TeacherTech, inspiring and guiding educators on ways to use technology effectively in teaching - and - she's also slightly (!) crazy about spreadsheets.